Badger digs through tonnes of analytical data to generate automated insights that make business sense. 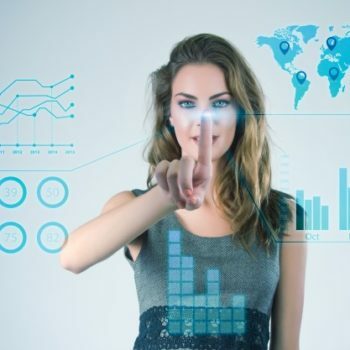 It is a machine learning SaaS that performs automated website analysis and auto-configure work with almost any analytical data source (read Google Analytics, Google PlayStore, Search Console and more). 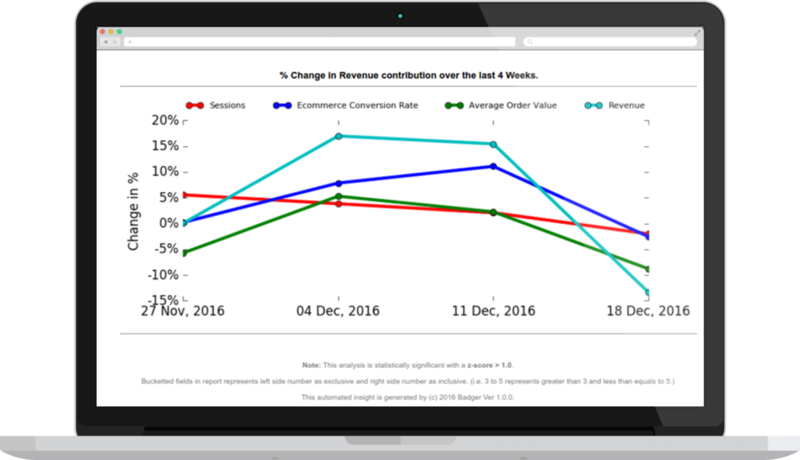 It uncovers the change impact of multiple attributes and events on your business metrics. Badger attributes the significant change in your business metrics (e.g. Revenue) to related causal variables (e.g. average order value, conversion rate, sessions etc). It further drills down on every other variable that has contributed towards the overall change. Badger digs on a particular metric (e.g. Sessions) as a part of automated website analysis to uncovers all change variables that affect the metric (e.g. Traffic from Metro/ non-Metro, Mobile device/ Desktop device Users, etc). It pinpoints the variables that need you to take quick actions. Badger uses Anomaly Detection to report in real time all significant anomalies in your business metric (e.g. deviation in New Users traffic from USA). It diagnoses the actual cause of the deviation and the frequency of occurrence. 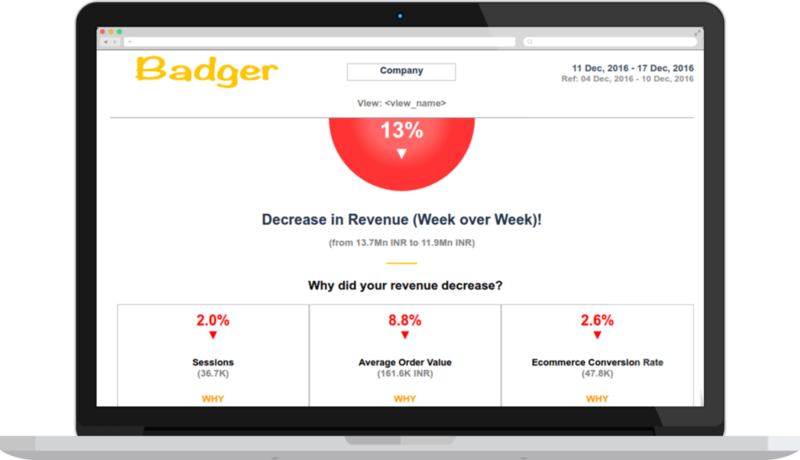 Badger analyzes the competitive scenario of your business metrics and delivers a snapshot on how your business has performed with respect to industry benchmarks (e.g. App Store Rankings for the app category). Badger performs a Composition Change Analysis on any particular attribute. It provide insights on change in composition mix of the attribute (e.g. E-commerce product category) with respect to business metric contribution. Badger digs on a particular metric (e.g. Sessions) and uncovers all change variables that affect the metric (e.g. Traffic from Metro/ non-Metro, Mobile device/ Desktop device Users, etc). It pinpoints the variables that need you to take quick actions. Badger performs a Composition Change Analysis on any particular attribute and provides insights on how the composition mix of the attribute (e.g. 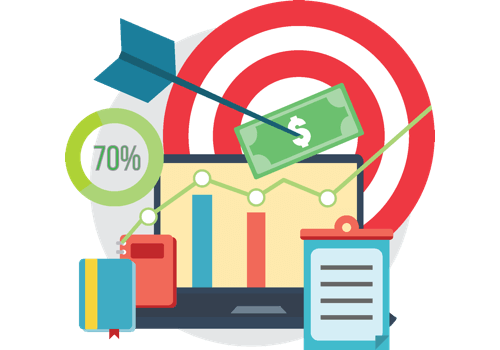 E-commerce product category) has changed over time with respect to your business metric contribution (e.g. Revenue). 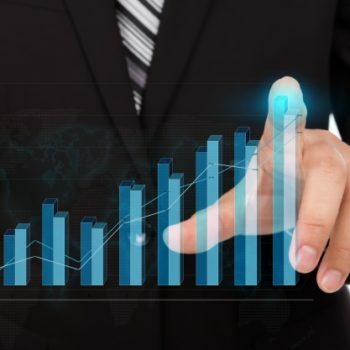 Badger’s Automated Intelligence helped a video publisher client understand a 350% hike in traffic within two consecutive days in a month. After a round of initial assumptions to explain the anomaly, their marketing team also cross checked with their Google Analytics account before using Badger to analyze this scenario. The automated insight from Badger was brilliant. It was discovered that 75% of the traffic coming from the affiliate campaign and landing on the reality show page were not real human users but were bots resulting in the spike. The Badger insight drilled down to state that this affiliate traffic had a bounce rate of 100% and their session duration was 0 seconds. As unexpected as this was, it enabled our client the access to the right set of data and stories to cross-question their affiliate for bringing in bot traffic. This entire processing of data took less than half an hour. This could have easily taken a day to gather all sorts of data in excel and still not get the solution to the problem.